The Point-of-Sale (POS) is a Web App used to deposit funds to a user's printing account, usually after receiving a cash or electronic payment. It can be accessed by users with role Web Cashier. 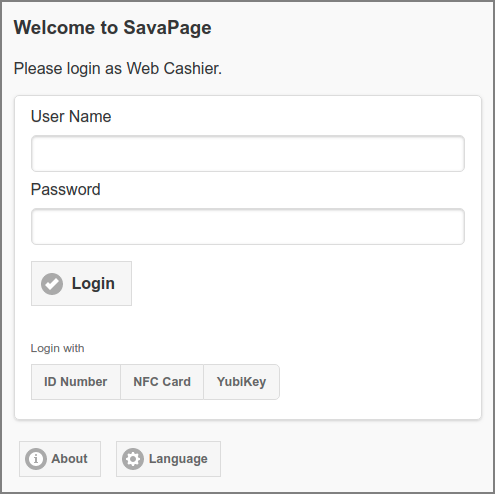 The POS Web App can be reached at https://savapage:8632/pos. See Appendix E, URL Cheat Sheet. The internal admin user and Persons with role Web Cashier are allowed to log in. See Section 4.4.4.2, “User Roles” how to assign admin rights to users. After a successful login the Deposit dialog is shown.